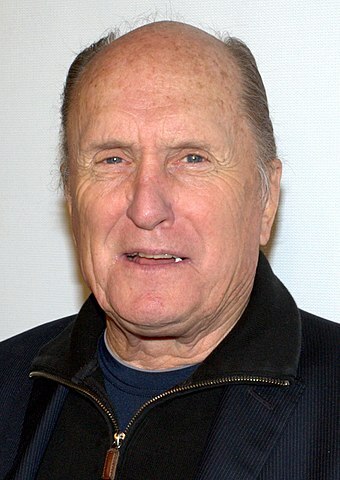 Robert Duvall was born in San Diego, California, United States, on January 5, 1931, is an American actor. Young Robert Duvall began his acting career on stage, with the Gateway Playhouse, an Equity summer theatre in New York. He made his stage debut in a play Laughter In The Stars (1952) in role as Pilot. He made his Broadway debut in a play Wait Until Dark (1966) in role as Harry Roat, Jr, at Ethel Barrymore Theatre. He made his television debut in drama series Armstrong Circle Theatre in episode The Jailbreak (1959). He made his big screen debut in drama mystery film To Kill a Mockingbird (1962) in role as Arthur "Boo" Radley. Robert's breakthrough performance came as Tom Hagen in crime film The Godfather (1972) for which he was nominated for the Academy Award for Best Supporting Actor. He played the same character in sequel The Godfather Part II (1974). He won the Academy Award for Best Actor for his role as Mac Sledge in drama film Tender Mercies (1983). He received the National Medal of Arts (2005). He received a Star on the Hollywood Walk of Fame in 2003. Served in the United States Army (1953-1954). Good friends with actors Dustin Hoffman and Gene Hackman. He is an avid Tango dancer. He has been married four times to Barbara Benjamin (1964-1975), Gail Youngs (1982-1986), Sharon Brophy (1991-1995) and he married Luciana Pedraza in 2005. Lives in The Plains, Virginia, U.S. I always considered myself as a character actor. I always try to be versatile to show different sides of human experience. A young actor once asked me, What do you do between jobs? I said, Hobbies, hobbies, and more hobbies. I'm not perceived as a traditional leading man, but I never aimed at that sort of thing either. I never straightened my front teeth, or whatever. I wan't cut out for that. Even if I did a 'big' movie, I'd still want to make it a real character.